NORWAY — Connor Ortman is one of the best basketball players in the entire U.P. This past season, he was an All–U.P. and All–Conference First Team selection. What makes this all even more impressive is that he was born deaf in both ears. He was diagnosed at two years old and has to wear a cochlear implant during games. Despite that, Ortman will now be representing his city, his state and his country at a special basketball tournament overseas. 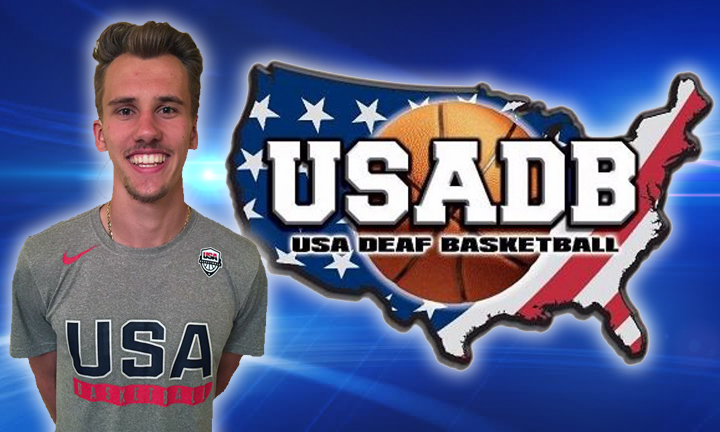 Ortman has been selected to play for the USA Deaf Basketball team. The coaches reached out to him after hearing about Ortman’s story in the Iron Mountain Daily Press. This past season, he received the Gil Heard Courageous Athlete Award for his ability to play with a disability, something that wasn’t easy at first. “It was kind of difficult because back then, I had a battery backpack kind of thing that I would have to wear with my cochlear implant. At that time, it was kind of difficult because it would always come off or the batteries would die really easily. But as the years gone by, I would get an upgrade on my cochlear implant and I have what I have now,” Ortman said. Ortman will travel to Washington, D.C. in October to meet with the coaches and the team before they head to Bolivia for the tournament. And judging by his play for the Knights, he will be a great addition to Team USA. “It’s just a really great honor and I feel blessed and thankful for all my friends, family and relatives to be able to support me and always knowing that I could be able to do something. I’m just very happy to be able to represent Norway, the Upper Peninsula and our country. I’m just really excited,” said Ortman.